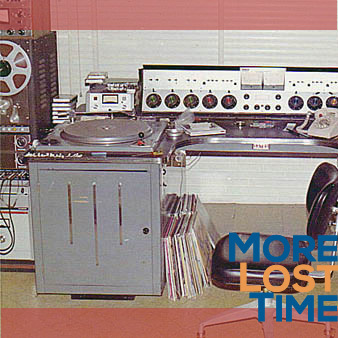 On the first More Lost Time of the new year, host Ric Dube plays rare UK music by the Shy Limbs, the Nips and the New Hearts, underrated German rock from 18th Dye and Wuhling, all-American '60 garage rock by Don (Pierce) and the Agitators, and stunning vocals from Angola by Teta Lando. Dube ruminates on his recent flu and self-prescribed regimen of non-stop Bob Newhart episodes. 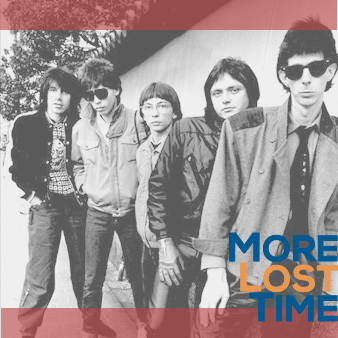 This More Lost Time features crossover rock and soul by the Isley Brothers, middle American genius by the Embarrassment, west coast brilliance by the Pop-O-Pies, east coast icon Jonathan Richman and much more. Stooges drummer Scott Asheton and Stax soul artist Judy Clay are remembered. A performance by the Stooges is the sponsor of the podcast, and while it's too late to see the show, it's worth mentioning that you could have bought your tickets at Orange Julius. Number 56: Guys! Weight Up! Weight! Up! Host Ric Dube welcomes 2014 with lost UK pop by the Stereotypes, soul sides by the Van Dykes and Ann Peebles, rare stoner rock by Fu Manchu, and a seldom heard ballad by the mysterious Mr. F. Seeing the bright side of beginning a new year by way appreciating the end of the holiday season is discussed. The show's sponsor is the jukebox edition of the Buckinghams' "Kind of a Drag."